Book a Lunch & Learn event today. What do 20% of British Columbians and 70% of Cambodians living in Kampot Province have in common? You are invited to host a ‘LUNCH & LEARN’ event where you will learn about a unique partnership between local charities and small pepper farmers in Southwest Cambodia. In this informative and compelling presentation about ‘the best pepper in the world’ you will learn how an innovative Fair Trade distribution approach is creating a long-term, sustainable solution for one of the poorest provinces in Cambodia while helping the great work of the Greater Vancouver Food Bank and other local and international causes. 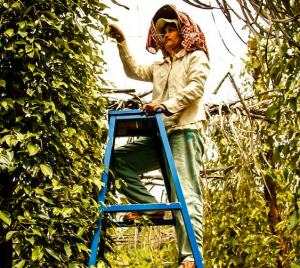 There will be a short presentation on Cambodia, it’s rich and fascinating culture, its tragic past, the resilience of its people in general and the amazing ‘comeback’ of the Kampot pepper farmers in particular. Best of all is that you will get to taste ’The Best Pepper in the World’.